You’ve heard me say it before, but I’ll say it again: There’s nothing more important than your electronics. They are your underwater eyes. 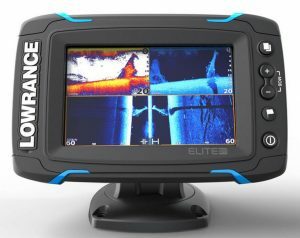 Good SONAR will tell you what’s under your boat and where you should be fishing. The importance of that is obvious. The best lure in the world, fished with the best tackle in the world, from the best boat in the world won’t do a thing if there isn’t a bass living in the neighborhood. You can’t catch them if they aren’t there. Almost every bass I’ve ever caught — at least 99.9 percent of them — have been caught where there’s a change of some kind. It might be a drop, a hole, a slope or an isolated piece of cover or structure like a rock or a stump. But, there’s always a change. That’s the one universal rule of bass fishing. The only way I know to consistently find those changes is with SONAR, and the best units I know about are made by Lowrance. To be fair, I have the real high-end stuff. My units are Gen3 models with 9-inch and 12-inch screens. The thing is, though, you might not need that. If you’re a recreational angler who only fishes on the weekends, something smaller and less sophisticated will probably do the job for you. Good units can be purchased for as little as a couple of hundred dollars. Actually, they have one super good unit for right at $100. It’ll show you the bottom, give you the water temperature and work at 55 mph. I want you to understand that what I am saying isn’t something I’m telling you to do but wouldn’t do myself. The unit that I have on my Hobie kayak only cost a couple of hundred bucks and it works great. I have a ball with my kayak and I catch a lot of bass out of it. That unit is never turned off because it shows me what I need to see. Don’t be discouraged if you can’t justify spending thousands of dollars on fancy GPS and SONAR units. 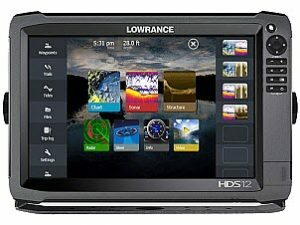 Check out the offerings from Lowrance. You’ll be surprised at what you can get for very little money. Like Ike on Facebook, and follow him on Instagram and Twitter for fishing and fun content. Go to Mike’s YouTube channel, Going Ike, to see the last two seasons of episodes. 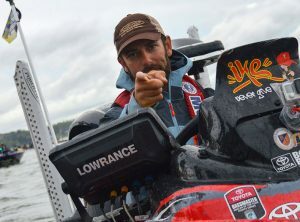 Return to Mike Iaconelli’s website videos. IKE LIVE - a bi-monthly, live-streaming broadcast. Going Ike - a series of day-in-the-life videos that capture the real story of a day's fishing adventure--the travel to the location, the excitement of the first cast, the first catch and the disappointment and heartbreak of a lost fish.